Xiaomi, also known as Apple of China, is famous for releasing budget friendly high end smartphones. 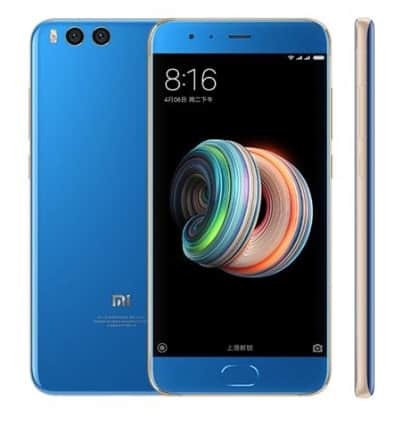 If you happen to own this beauty, you might be interested in downloading Xiaomi Mi Note 3 ADB universal USB drivers as well as its official USB drivers for Windows operating system. Xiaomi Mi Note 3 was another attempt by the Chinese giant to capture the ever growing smartphones market. Mi Note 3 is packed with powerful Qualcomm SDM660 Snapdragon 660 processor and has 6GB of RAM. It has 64GB/128GB on built-in memory. The camera of Mi Note 3 is 16 megapixels which is capable of shooting video at 2160p with 30Fps. This is indeed great. By installing these latest Mi Note 3 drivers on your computer, you will be able to enjoy great connectivity between your system and Mi Note 3. With correct Mi Note 3 ADB USB drivers installed on your system, you will be at ease in creating a backup of your photos, text messages as well as in transfer of data.